Ayo ‘Wizkid’ Balogun has announced that he would release four mixtapes in 2017. The Afro-pop singer was arguably the best Nigerian artiste of 2016, largely as a result of his award haul, Grammy nomination for his part in Drake’s album, a global tour, and a string of hit songs. 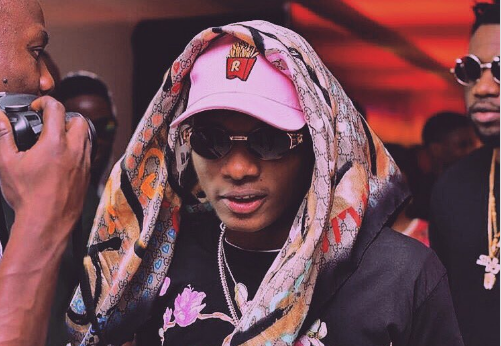 Wizkid, who took a doctor-ordered rest in December 2016 after being on the road for a long time, says 2017 will be memorable. “4 mixtape’s 2017! 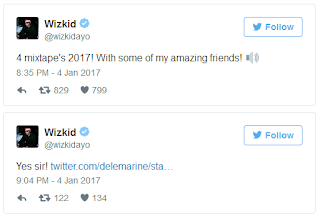 With some of my amazing friends… 2017 will be the one to remember,” the ‘Daddy Yo’ singer said on Twitter. 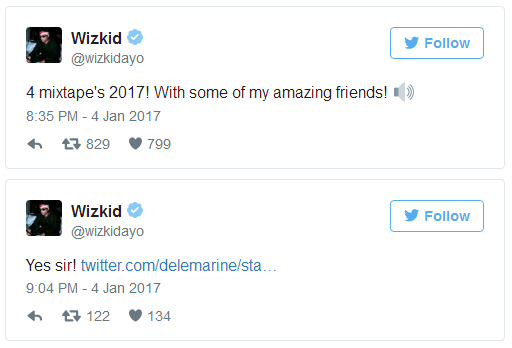 Wizkid is also expected to release his ‘Sounds from the other side’ EP sometime in 2017.